Handling Gear's range of magnet lifters are the perfect solution for lifting plate steel, cylindrical loads or other objects. 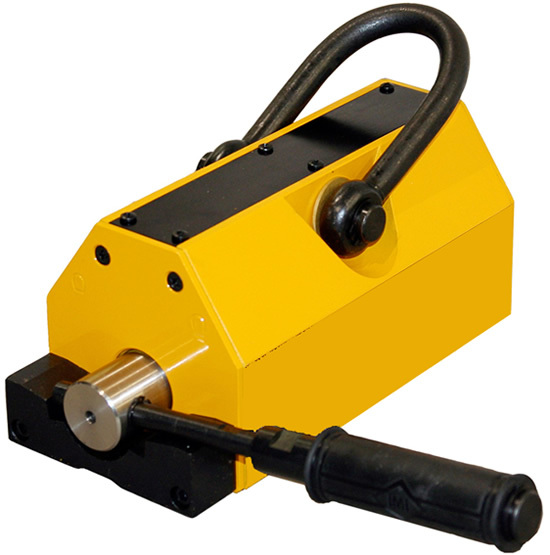 Handling Gear's range of magnet lifters are the perfect solution for lifting plate steel, cylindrical loads or other objects. Our ranges of high strength magnetic lifters are produced with super strong Neodymium magnets, with your safety in mind. Operation is by way of turning the manual handle once on the operating surface. In loading and unloading, the lifter can hoist iron/steel blocks, cylinders and others onto magnetic materials for linkage or connection. It is very convenient for application in loading, unloading and moving. Handling Gear's magnetic lifters are the most ideal lifting facility for factories, docks, warehouses and transportation. Handling Gear's range of magnetic lifters are light and ingeniously structured, easy for application, strong magnetic attraction and safe in handling. 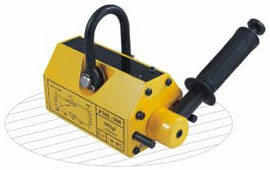 Magnetic lifters are ideal for lifting facilities in factories, docks, warehouses and transportation.